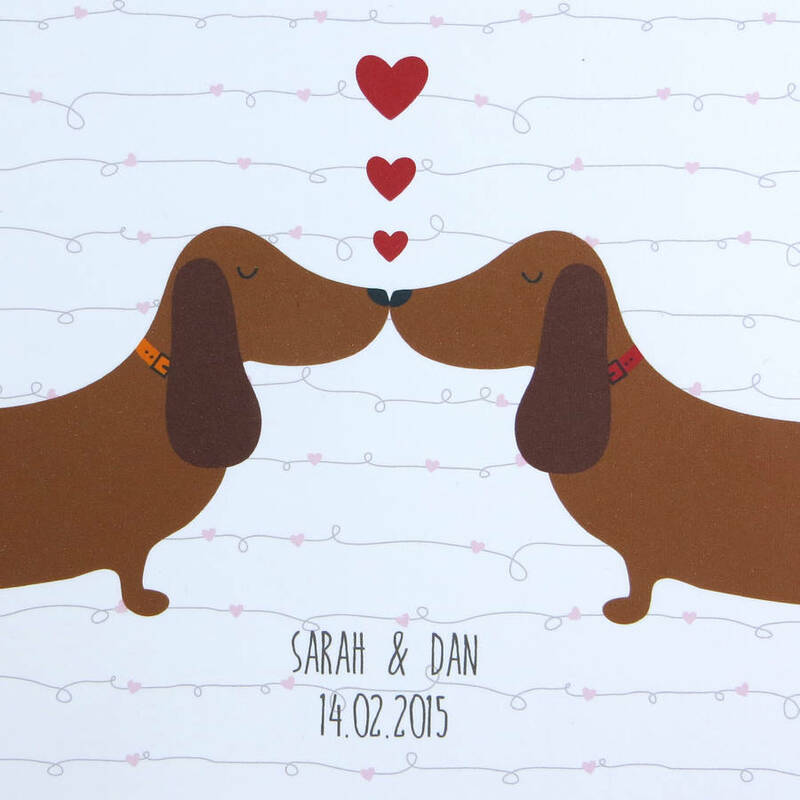 A quirky love print featuring a couple of lovestruck dachshunds / sausage dogs! A unique Valentines gift, or an ideal wedding / anniversary present. 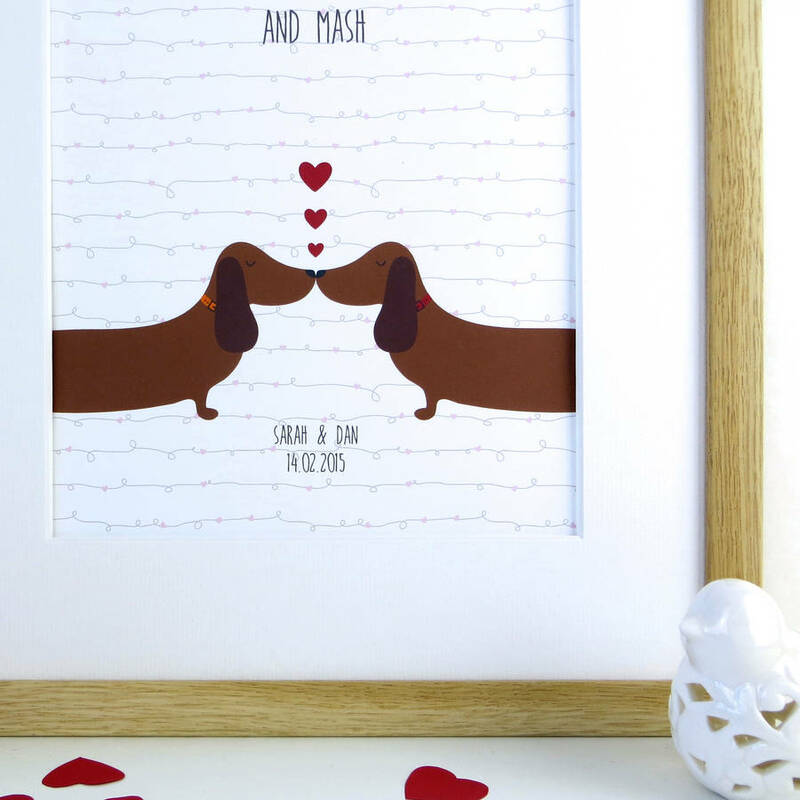 These cute little dogs are in love! The quote above the dogs reads 'We go together like sausages and mash' in a contemporary typeface, and there is space at the bottom of the print for two lines of text. 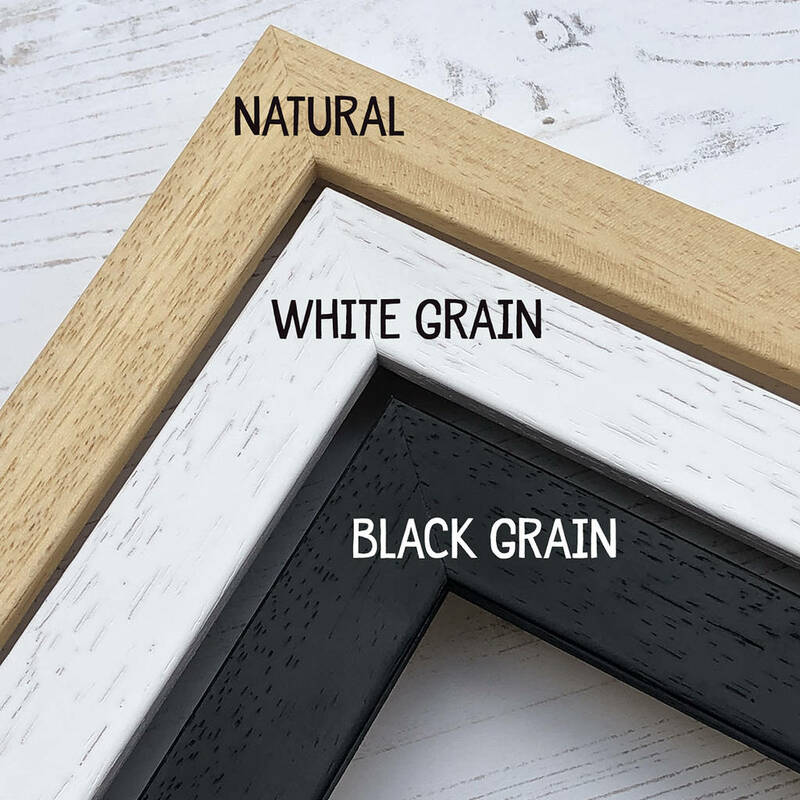 Why not personalise it with names and a special date, or a message of love? 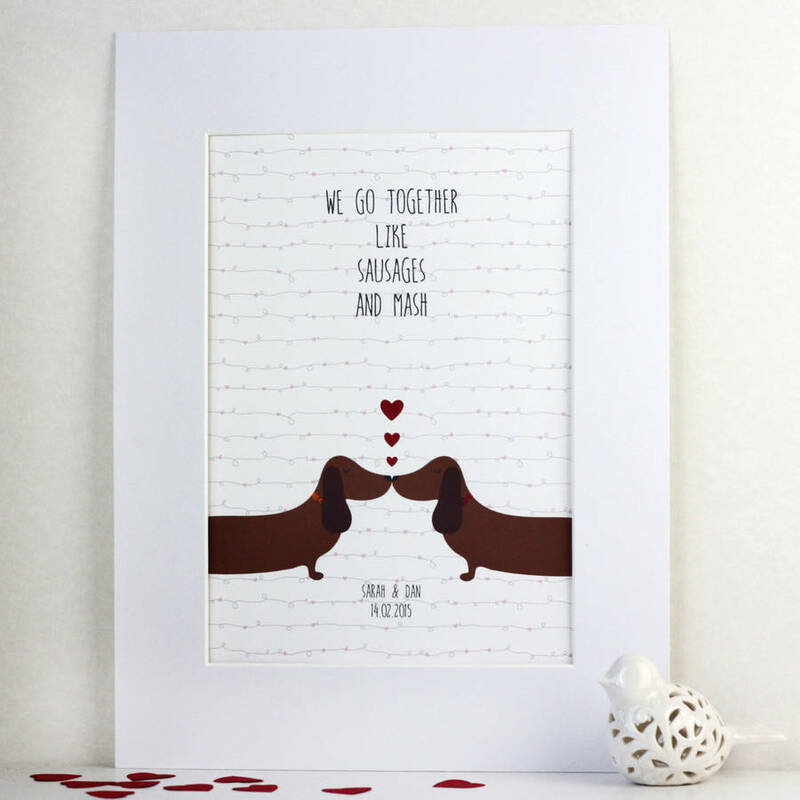 This print is the perfect gift for that someone special in your life. 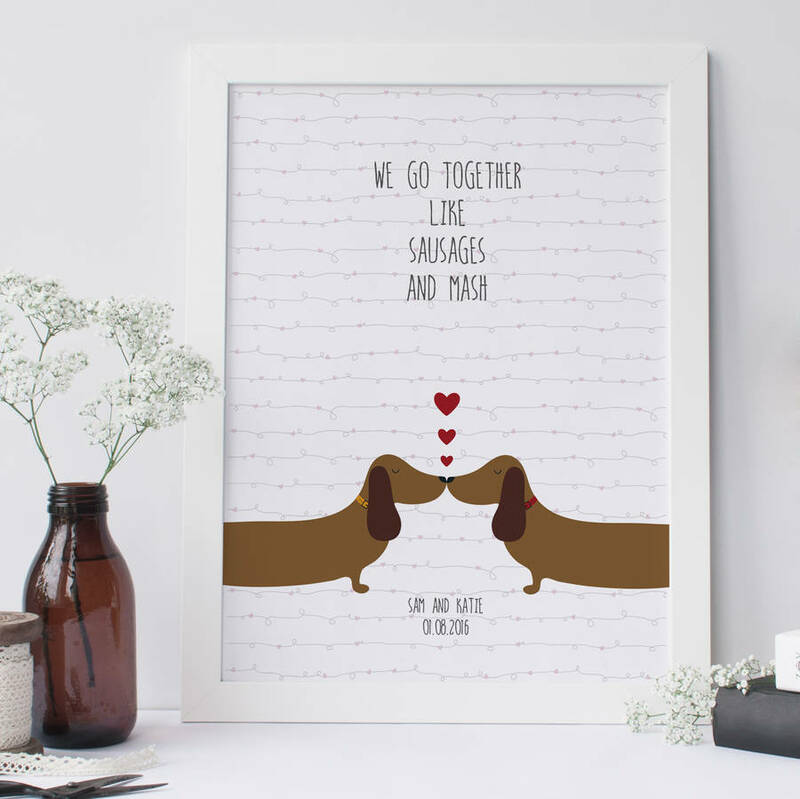 It's also brilliant for anyone who loves dachshunds! 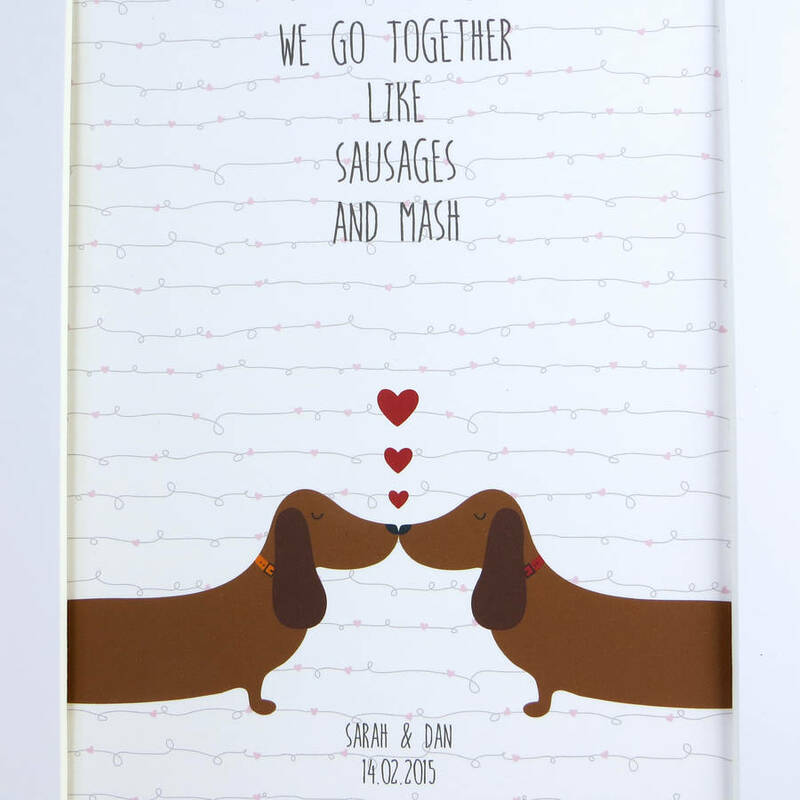 NB: The 'We go together like sausages and mash' quote is part of the print design; if you would like to change the quote please fill in the box when placing your order. 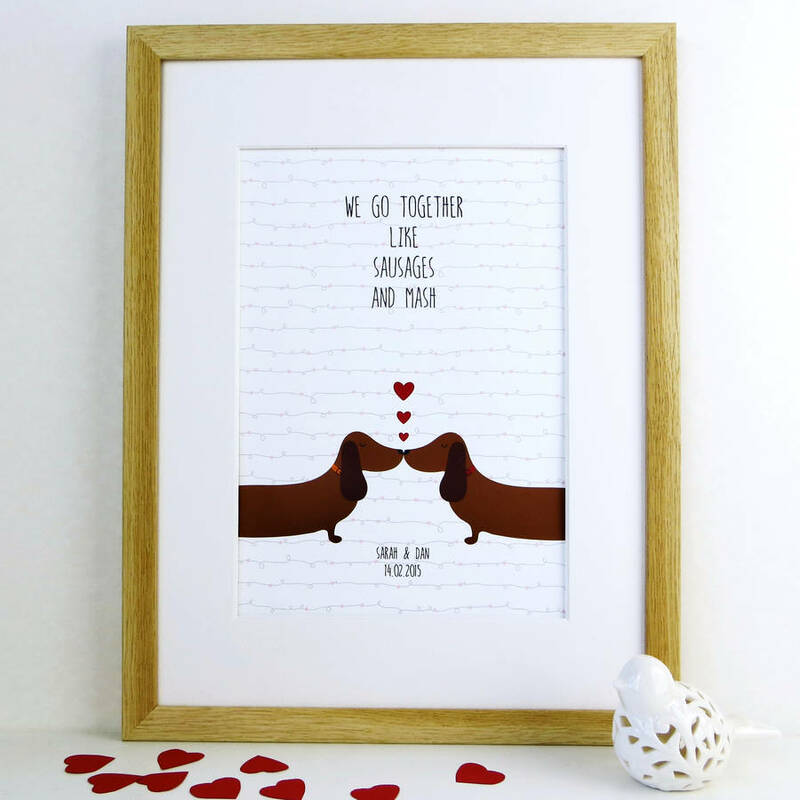 Leave the box blank to keep the 'We go together like sausages and mash' quote on the print, as shown in the product photos.